Reviews of books for various age groups and genres. Eric Dimbleby’s healthcare system will take you well beyond co-pays and medical insurance; it defies the very idea that medical establishments and professionals are there to help and heal. When Ken has an accident playing sports with his friends, he has to limp home to his pregnant wife. She takes him to a new health clinic in the area that is odd. After treatment is not viable because of faulty machinery, they flee and go to the local hospital. A short while later, the bills from the strange new clinic start to arrive…and then the harassment begins. 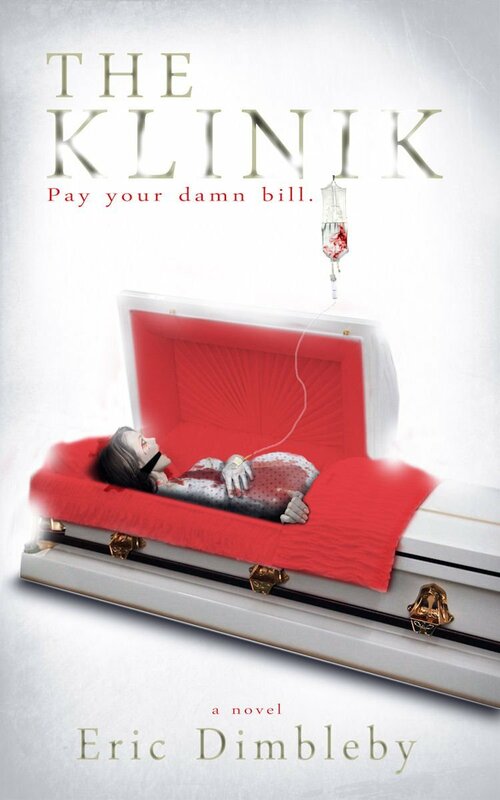 No matter how they fight the inflated charges they’re being billed for, Ken and his wife get sucked deeper and deeper into the horror and unconventional operations of The Klinik. I always enjoy the dark and horrific tales Eric Dimbleby spins. This one didn’t disappoint. We all hate the healthcare system for one reason or another, but it will never be as bad as the system portrayed in this book. The book is complex, disturbing, and makes you scared to go get treatment. There are a few editing issues, but nothing super horrible. Follow this blog by email and keep up to date with every review posted!